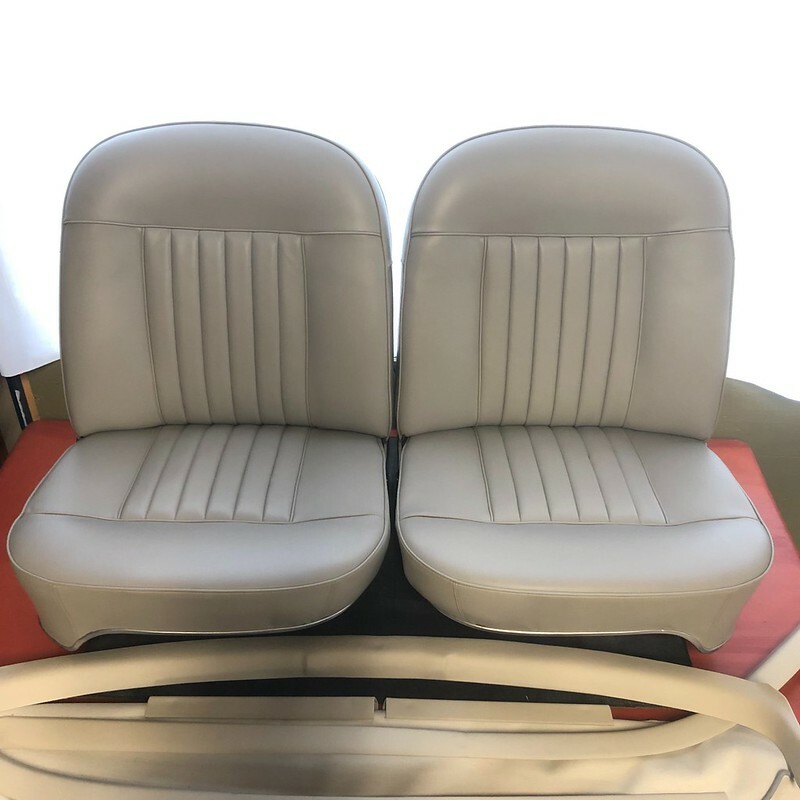 The front seats have been reupholstered by Geoff Chrysler. Very nice: natural grain dyed through light grey "Hyde" brand leather, with heating elements (I'll need a better alternator than it came with to power that!). Parts of the headliner (also redone by Geoff) are visible in the foreground. His next task is redoing the rear bench, which has a fold-down armrest. I may get the parts in the photo this coming Monday. stevenvillatoro, MB DNA, Smart Bob and 2 others like this.